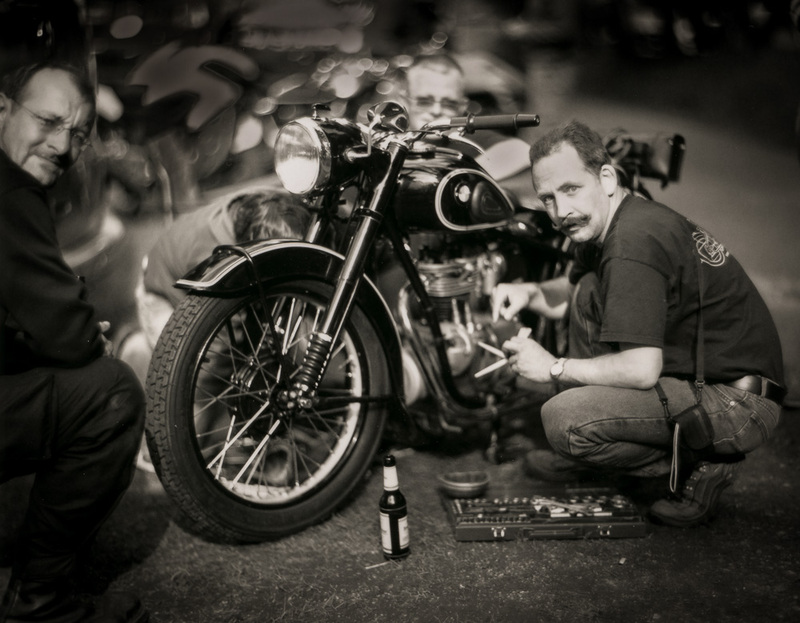 Repairing an old BMW R25/2. Graflex Speed Graphic (4x5"), Kodak Aero Ektar 178mm/f2.5, Fujifilm FP-100B-45 instant film. Glad to see life being breathed into a classic bike and a classic camera. Well done! Love this shot. If you would have told me you dug this up from the 60's I'd be hard pressed to argue. ;) The image was taken recently. Have a look at the guy on the right: he is carrying a small digital P&S camera over his shoulder. BTW, the Speed Graphic camera is from 1955, the lens dates from 1943, and the film - well, it expired this year... ;) Below is an image of the LF camera and lens, lots of fun to shoot with this unique combo! Vintage Speed Graphic? No, any functional Speed Graphic remains a useful tool. Doesn't "vintage" relate to something of extremely high quality from the past? In that sense, my Graflex is definitely "vintage", as it is fairly old, is in perfect condition, and works like a charm. So, yes, it is a vintage and useful tool! Andreas, you have an Aero Ektar? How'd I miss this thread?! An Aero Ektar and Speed Graphic was my dream setup back in college after seeing images made with it by David Burnett and others; alas, I never set the money aside, and I thought it more prudent to put money into my Nikon editorial kit. 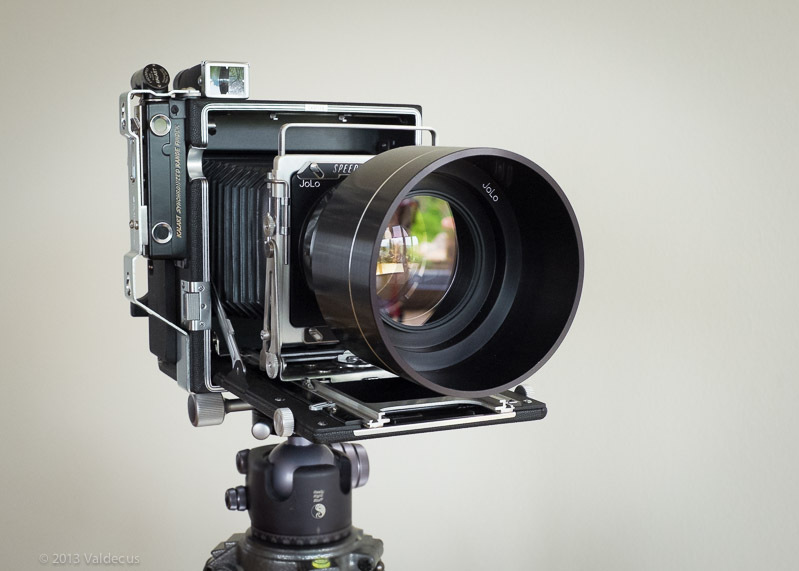 I stumbled across something today that implied the possibility of adapting an Aero Ektar into various medium format mounts, which would be more convenient for me than going back into large format film. Wheels are turning. Really cool image. Love it. yeah, what the last guy said. Cracker of an image, and the image of the camera and lens shows a very nice piece of equipment.